Sun exposure, hormonal changes, and aging can all have an impact on your skin’s appearance. Over time, your skin begins to lose hyaluronic acid and collagen, resulting in fine lines, wrinkles, and a loss of fullness and elasticity. Fillers are the best way to restore volume to these aging areas. Juvederm Ultra ®, Voluma ®, Volift ®, Volbella ®, and Restylane ® are the facial fillers that we most frequently use to replenish hyaluronic acid and collagen that has been lost during the aging process. They work by giving volume to your skin to minimize the appearance of wrinkles and thinning skin. They are also used to enhance and define lips, cheeks, chin, and jaw line. Hyaluronic acid injections have been shown to stimulate collagen production. Best of all, the results are usually instant, natural looking, and there is very little down time. 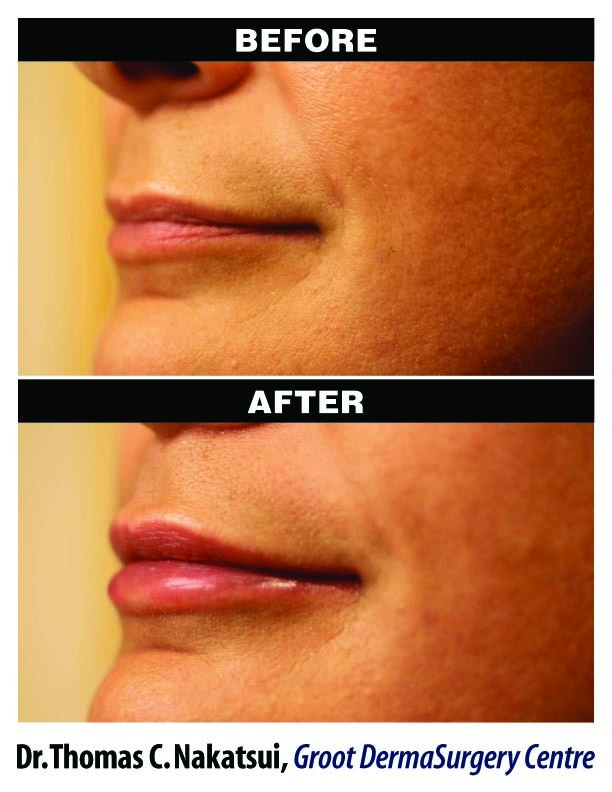 One of the most popular uses for fillers is for lip augmentation. 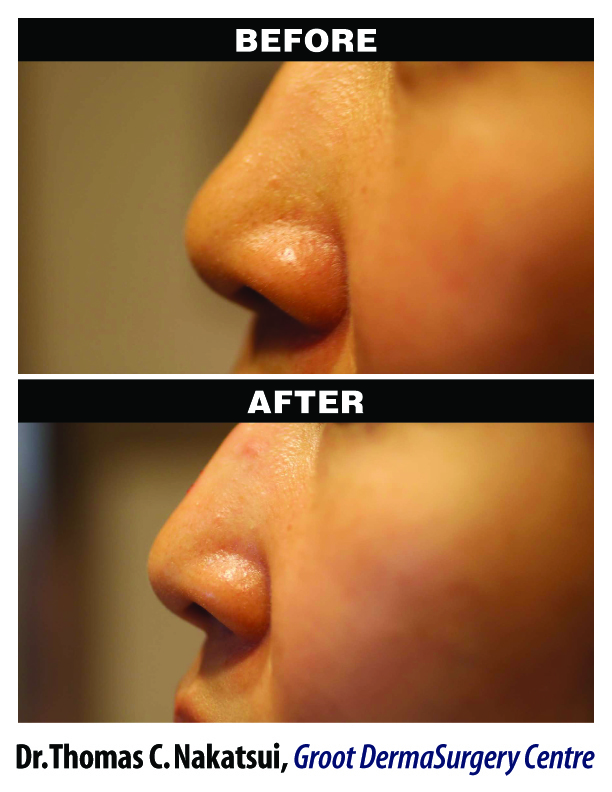 Dr. Nakatsui personally performs all filler injections at the Nakatsui DermaSurgery Centre. Dr. Nakatsui, thanks for recommending Volbella® for my dark circles and Voluma® to ‘lift up my cheeks’- I love the effect. The shadows under my eyes which were beginning to track down to my chin are not so obvious. The result is so natural; I don’t think anyone has really noticed. But I know that I don’t look so tired anymore. – H.M.
**The testimonials presented on any of our Company’s websites are applicable to the individuals depicted only and may not be representative of the experience of others. **Actual patients. Individual results may vary. Description: Soft tissue facial fillers such as Juvederm, Voluma, and Volbella are injected into the skin to enhance soft tissue volume, diminish wrinkles, and fill in depressed areas such as scars. 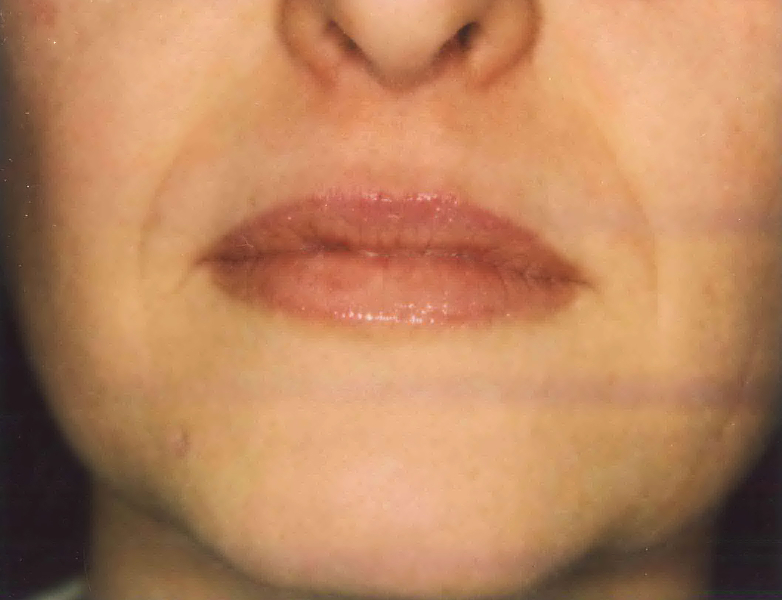 These are most commonly used for lip injections, and for filling the nasolabial folds, but are often used in other areas, such as the marionette lines, jawline, chin, cheeks, and temples. At our Centre we inject hyaluronic acid-based fillers. Longer-lasting injectables with microscopic particles are more risky in that granulomas, placement errors, migration, and possible necrosis are more likely. Brands: There are many brands on the market currently. Some examples include Juvederm, Restylane, Voluma, Volbella, Emervel, Teosyal, Bellafill, Sculptra, and Revanesse. Your doctor will help you choose which one is best for you. Average Cost: $500.00 – $2,000.00. The cost of a treatment will vary depending on your specific needs and the area being treated. Length of Procedure: 15 to 30 minutes depending on the number of areas treated. Recovery Time: Zero to 10 days, depending on filler and area treated. Treatment Frequency: On average, one to two times a year depending how quickly the filler is metabolized and which filler is being used. In some areas of the face such as cheeks, the filler will last much longer, whereas lip injections last a shorter duration. Risks: Temporary bruising, swelling, possible infection with temporary fillers. 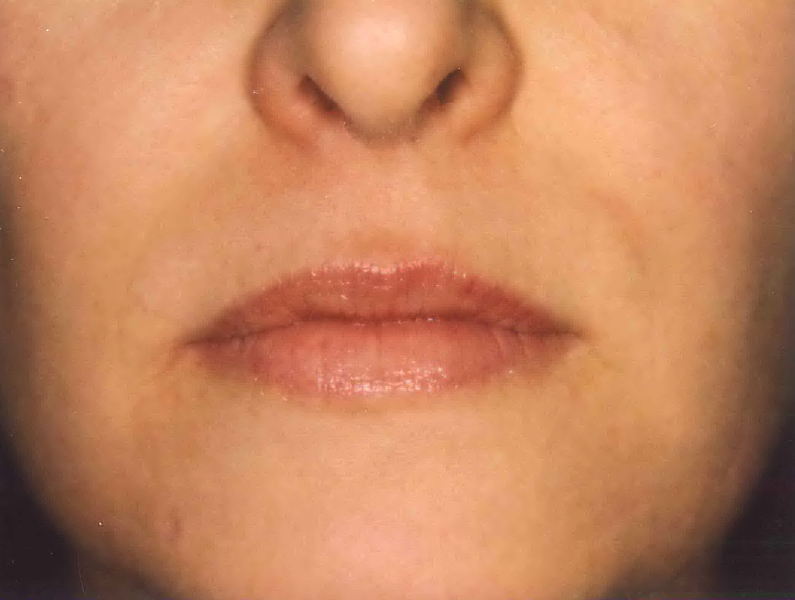 Duration of Results: Temporary fillers last from three to six months or more. Some types of filler will last for a year or longer. Hyaluronic acid (HA) is a natural, complex sugar found in all living cells and an important component of the skin, along with collagen and elastin. HA retains water like a sponge, absorbing more than 1,000 times its weight. This helps to attract and maintain water, hydrating your skin and increasing its volume and density. What to Expect from Dermal Filler Treatments? 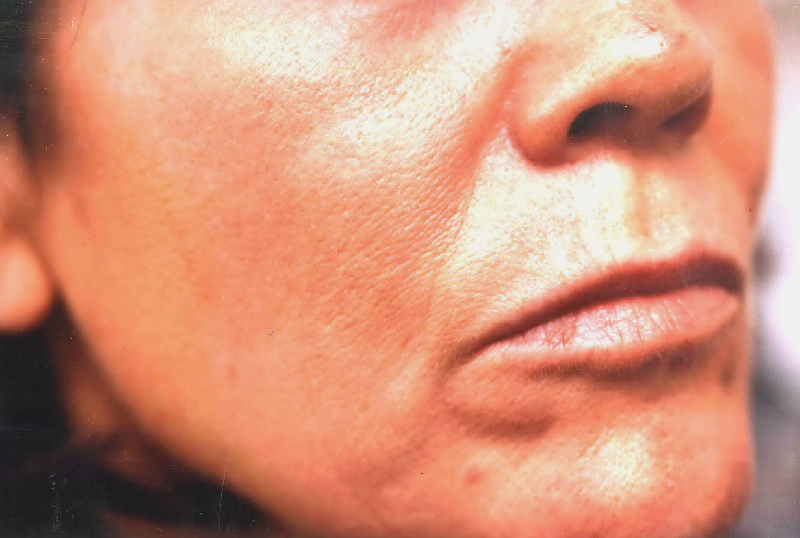 During a treatment, dermal fillers are injected under the skin to temporarily enhance facial features such as the lips and cheeks or to fill wrinkles, folds, or depressed scars. 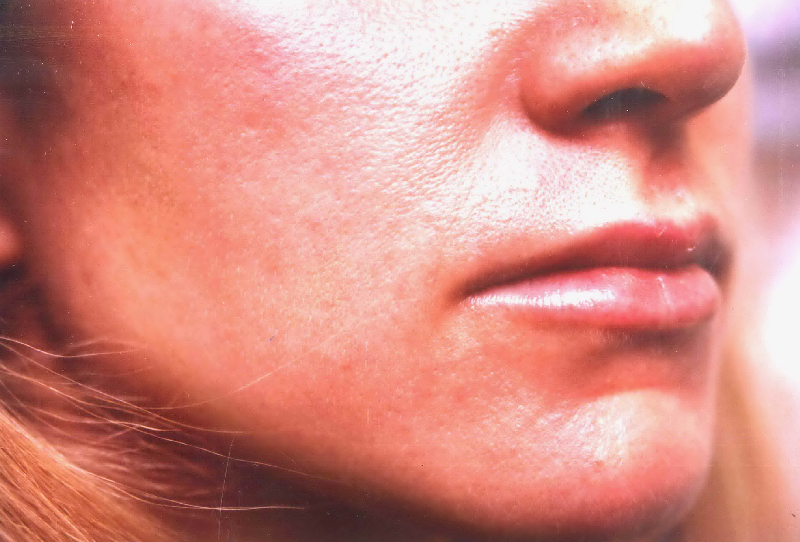 The effects vary depending on the type of dermal filler used, areas of injection, amount injected, and the injection technique. Results are instant. You will see an immediate improvement in the treatment area. Most people need one treatment to achieve an optimal outcome. 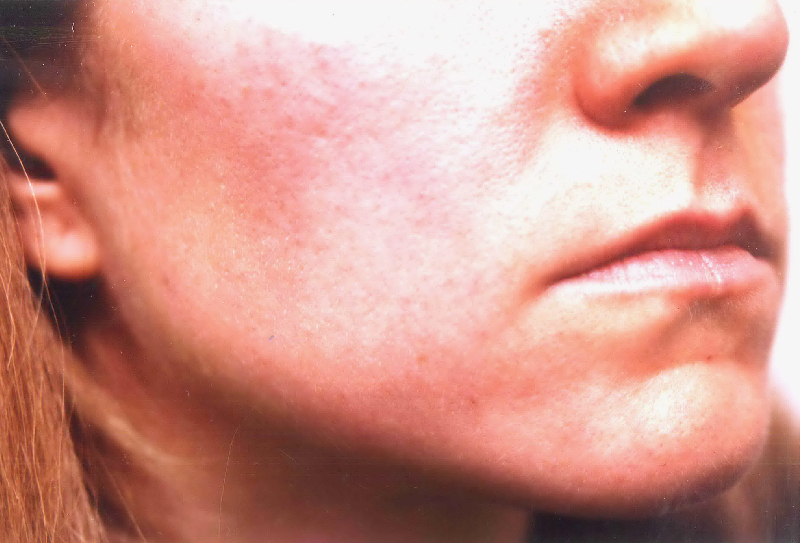 Supplemental “touch-up” treatments may be required to achieve and maintain the desired look. The injections are performed using a fine needle to reduce injection discomfort. Juvéderm® and Voluma® have a local anesthetic mixed into the solution which helps to minimize any discomfort. 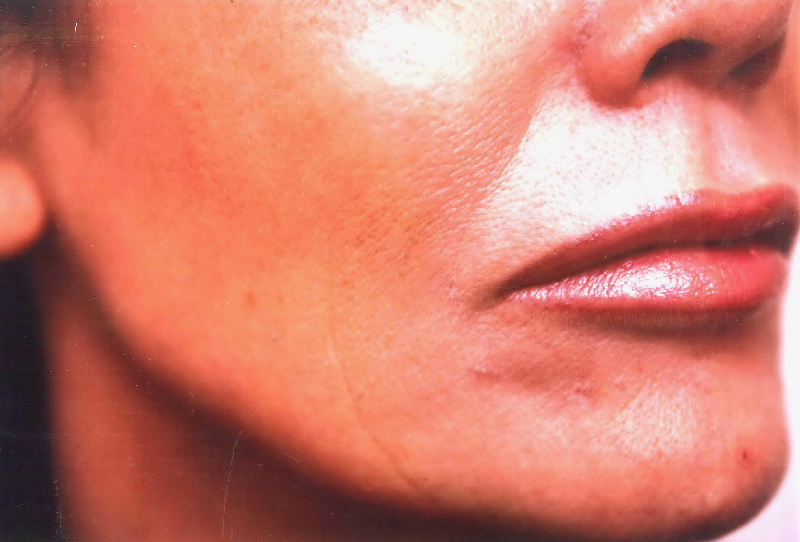 A treatment with dermal fillers requires minimal downtime and most people return to their normal routines immediately. The cost varies with the amount of filler injected and the type of filler used. Do you have another question that wasn’t addressed here? Please feel free to contact us with any questions or concerns you may have!